← NetDragon to Hold 4Q/FY 2010 Call on March 25th. Publish 70, New Magincia Lottery, on Test Center this Wednesday. Update: The test has been pushed back to Thursday, however a use for blue crystals is being implemented. Calvin Crowner, the producer of UO, has posted this late bit of breaking news. 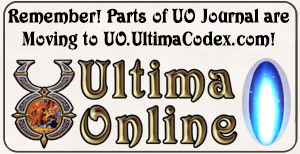 Ultima Online Publish 70, which should go a long ways towards wrapping up the Magincia storyline, is going to be loaded onto the Test Center this coming Wednesday, March 16, 2011, with a backup of Great Lakes. We will be able to see how the lottery system for New Magincia is going to fully work (more on New Magincia). The period of testing will be extended due to the recent tragedies that have happened and are still happening in Japan, so that hopefully when it is finally published to the production shards, more Japanese players will be able to participate. 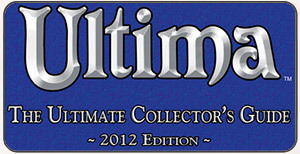 Given how large of the UO player population is Japanese, I wondered how EA would be handling this. I’ve seen other companies such as Sony suspending billing for people in affected areas. We will be bringing build 70 to the test center on Wednesday March 16th. As always, we ask that you participate in this test phase and give us your feedback. However, in light of the events in Japan we will be extending the Test Center phase of this publication. Publish 70 is the end of the live event and the new beginning of Magincia and we want all players to have a chance to participate; and we recognize that there may be many members of our Japanese community who may be unable to participate at this time. So here is our current release plan for build 70: Test Center Deployment: 03/16. Our expectation is that we will publish to Origin in around 2 weeks. Of course, as events change, we will keep all of the community updated. We will be putting a back up of Great Lakes on Test Center 1. We hope this encourages you to log in and discover for yourself how the lotto system on Magincia works. In addition to the house plot lotto please enjoy the new system of planting seeds and watching your plants group in the open land of Magincia. Thank you for your understanding. We are looking forward to getting your feedback and please join us when we say that the hearts and thoughts of our team go out to our Japanese friends. I have an idea for a post, but I probably won't have time to write it myself, so I'm hoping someone here will pick up the baton and run with it. My question is "What do you do when you don't like your frn9dis&#03e; kids?" This has come up for me as I have a couple of really great friends with insufferably annoying kids.